Pope Gregory X (Latin: Gregorius X; c. 1210 – 10 January 1276), born Teobaldo Visconti, was Pope from 1 September 1271 to his death in 1276 and was a member of the Secular Franciscan Order. He was elected at the conclusion of a papal election that ran from 1268 to 1271, the longest papal election in the history of the Roman Catholic Church. He convened the Second Council of Lyons and also made new regulations in regards to papal conclaves. 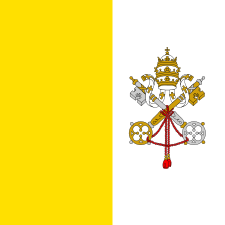 Though briefly annulled by Pope Adrian V and Pope John XXI, these regulations remained in force until the 20th century, when they were altered by Pope Paul VI. Pope Clement XI beatified him in 1713 after the confirmation of his cultus. Tomb of Pope Gregory X in Arezzo's Cathedral of Saint Donatus. Teobaldo Visconti, a member of the House of Visconti, was born in Piacenza around 1210, the son of Uberto Visconti, whose brother Ottone was the Archbishop of Milan (1263-1295). It is said that he began his career by attaching himself to the household of the Cistercian Cardinal Giacomo de Pecorari, Bishop of Palestrina (1231-1244), who was also from Piacenza. He was attracted by the reputation of holiness which the Cardinal enjoyed; he had been elected abbot of the monstery of Trois-Fontaines in Champagne. Teobaldo became the Cardinal's Oeconomus or Majordomo, and was therefore in constant attendance. The Cardinal was Legate of Pope Gregory IX in Tuscany in 1235, in Lombardy in 1236-1237, and in Provence, France and Germany in 1239-1241. It was probably during the assignment in Provence that Teobaldo became known to important French clergy and laity. He was already Canon of the Basilica of S. Antonino in Piacenza when he returned to Piacenza on business of the Cardinal in 1239. He then returned to the Cardinal, whose new assignment in France was actually to preach a crusade against Frederick II Augustus, the Hohenstaufen Emperor, who was again at war with Pope Gregory IX. Early in 1239, the Pope had again excommunicated the Emperor. Each had demanded an Ecumenical Council to settle their differences. The Pope was willing, but he planned that the council would meet under his auspices and in his territory. He would also bring to Rome all of the enemies of Frederick Hohenstaufen. It was at this point in 1240 that Teobaldo also became a Canon of the Cathedral of Lyons, at the request of the Canons made to Cardinal Giacomo de Pecorari when a vacancy in their number occurred. Pope Gregory's ecumenical council never took place, and he died on 22 August 1241. The search for a successor to Gregory IX took more than two months. 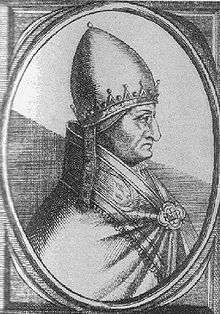 The new Pope, Celestine IV, who was old and ill, survived his election by only 17 days, dying on 10 November 1241. The second electoral assembly of 1241 did not take place for some time, however. The cardinals who were in Rome at the pope's death, having endured considerable mistreatment during the Vacancy of 22 August 1241 to 25 October 1241, which they did not want to endure again, scattered immediately. Only a half-dozen of the 12 cardinals remained in the city. It was not until June 1243 that all the Cardinals, assembled at Anagni and not in Rome, elected Cardinal Sinibaldo Fieschi of Genoa as Pope Innocent IV. In 1243, when the Bishop of Piacenza died, Innocent IV offered the position to Archdeacon Teobaldo, who declined, preferring to follow in the company of Cardinal Giacomo. Cardinal Giacomo, however, died in Rome on 25 June 1244. Upon the death of his patron and spiritual model, Teobaldo decided not to remain any longer in the Curia, planning to travel to Paris, where he would study Theology. When he reached Lyons, however, he was received by the Archbishop-elect, Philippe, and asked him to be the dominus and magister of the household. Teobaldo initially refused, but the Archbishop insisted and finally Teobaldo accepted the position. In July 1244, Pope Innocent IV was forced by Frederick II Augustus to flee from Rome. He first travelled to his native Genoa, and then headed to Lyons, where the idea of an ecumenical council took shape. Teobaldo helped to organize the Ecumenical Council which met at Lyons in June and July 1245. During this period, Visconti became acquainted with people such as Bonaventure, Thomas Aquinas, Gui Foucois, Pierre de Tarentaise and Matteo Rubeo Orsini, all of whom were participants in the Council. Visconti was appointed Archdeacon of Heinault in the diocese of Liège on 9 September 1246, perhaps as a reward for his services. He was instructed by Pope Innocent IV (Sinibaldo Fieschi, 1243-1254) to preach the crusade for the recovery of the Holy Land. Such preaching had more of a financial character than one might think, since both Crusaders and Papacy were desperate to raise funds. Teobaldo was not able to do much more than preach, sacerdotally, since he still was not a priest. Teobaldo's time in Liège was evidently not a happy one. The bishop whom he had come to know at the Council of Lyons, Robert de Thorete, died after a brief illness on 16 October 1246. There had been a struggle for the episcopal seat when he was appointed. The Provost of Utrecht, the candidate of Frederick II, had attempted to usurp the seat, and Cardinal Giacomo de Pecorari, Bishop of Palestrina had been ordered by the Pope to intervene and prohibit an election until the canons of the Cathedral could meet with him. But the vacancy of the papal throne occurred after the death of Pope Gregory XI, and lasted until June 1243. In that interval the squabbling electors came to an understanding, and on 30 October 1240, Robert, the brother of the Bishop of Verdun, was chosen. Another struggle between two candidates ensued on his death, and Cardinal Robert Capocci was sent to settle the election. Since Teobaldo was a canon as well as Archdeacon, he was directly involved. The successful candidate, on 10 October 1247, Henry of Gelders, was a worldly man, the brother of Otto III, Count of Gelders, and was not yet in Holy Orders. In fact, for the next twelve years, he was neither ordained priest nor consecrated bishop. The new Bishop-Elect and his Archdeacon immediately had problems about Teobaldo's conduct of his office while being absent in Paris, an issue which was not settled until the end of 1250. Finally, in 1258, Henry of Gelders was consecrated. He also had himself elected Abbot of the famous Monastery of Stabulo (Stavelo). This did not mean, unfortunately, that he gave up his former dissolute military life. In 1262, he clashed with Archdeacon Teobaldo. During a Chapter meeting, he was roundly criticized by Teobaldo, who accused him of compromising the virtue of Berta, daughter of Conrardi de Coen le Frison, by force. The Bishop threatened to strike the Archdeacon. Consequently, few days later, Teobaldo was moved to leave Liège, and it is said that he undertook a pilgrimage to the Holy Land. He actually got as far as Paris, where he resumed his long-standing plan of studying Theology. During this time he became a friend of King Louis IX. Visconti left Liège in 1267 for Paris at the behest of Pope Clement IV who sent him to England to assist Cardinal Ottobono Fieschi, who had been appointed Papal Legate in England in 1265, to support King Henry III in the rebellion of the barons, led by Simon de Montfort. It was during this assignment that Teobaldo became friends with Prince Edward of England (the future Edward I), with whom he went on Crusade. Cardinal Fieschi returned to Viterbo, and participated in the conclave of 1268-1271. Edward took the cross on 24 June 1268, followed Louis IX to Tunisia, and finally reached Acre on 9 May 1271. Visconti was elected to succeeded Pope Clement IV on 1 September 1271 after the papal chair had been vacant for two years and nine months, due to divisions among the cardinals. The College of Cardinals, meeting in Viterbo where Pope Clement IV (1265-1268) had died, was equally divided between the French and Italian cardinals. The French wanted a pope from their own country, influenced by Charles of Anjou, the younger brother of King Louis IX of France, who had been invested with the throne of Sicily by Pope Clement IV (1265-1268). Charles had also successfully intrigued to have himself elected Senator of Rome, and he repeatedly intervened in the political affairs of the entire Italian peninsula. He had entered Rome on 23 May 1265 where he was made Senator and was proclaimed king of Sicily. On 6 January 1266, he was crowned in St. Peter's Basilica by Cardinals Riccardo Annibaldi, Raoul de Grosparmy, Ancher Pantaleoni, Matteo Orsini, and Goffredo da Alatri, with permission of Pope Clement IV, who did not dare to approach Rome himself due to the hostility of the Ghibelline government toward him. The deadlock was not even broken when the citizens of Viterbo locked up the cardinals in the Episcopal palace where they were meeting, and finally tearing off part of the roof of the building. Finally, in August 1271, the Cardinals decided to appoint a committee, three of their number from each side, to negotiate a settlement (Election by Compromise). When the six could not agree, however, on the choice of one of the cardinals, they decided to look outside their ranks. They settled on Teobaldo Visconti, the Archdeacon of Liège. Their decision was ratified by all of the Cardinals on 1 September 1271. This was a victory, in fact, for the French-leaning faction, since Teobaldo had intimate connections with France, and his nephew, Vicedomino de' Vicedomini, a native of Piacenza but Archbishop of Aix in Provence, had been a follower and advisor of Charles of Anjou ever since he came into Italy. The election of Visconti, after a 2-year, 9-month struggle, came as a complete surprise to him, since it took place while he was engaged in the Ninth Crusade at Acre in Palestine with King Edward I of England. Not wanting to abandon his mission, his first action upon hearing of his election, was to send out appeals for aid to the Crusaders. At his final sermon at Acre just before setting sail for Italy, he famously remarked, quoting Psalm 137, "If I forget thee, O Jerusalem, let my right hand forget her cunning". Nonetheless, he had to return to Italy immediately, since he had been summoned by the Cardinals in order to accept the election at their hands. On 1 January 1272, the Pope-Elect reached Brindisi, and he arrived in Viterbo, the site of the Election, where the Cardinals were waiting, in early February 1272. On some unknown date he completed the Election by accepting the Papacy; it was in Viterbo that he assumed the papal mantle. But he was still careful to call himself Episcopus-electus. On 13 March 1272, he entered Rome with the entire Roman Curia. Since he was not in Holy Orders, he had to be ordained a priest, which took place on 19 March 1272. He was consecrated a bishop and crowned on 27 March 1272 at St. Peter's Basilica. Niccolò and Maffeo Polo remitting a letter from Kubilai to Pope Gregory X in 1271. As soon as he was elected in 1271, Pope Gregory X received a letter from the Mongol Great Khan Kublai, remitted by Niccolò and Matteo Polo following their travels to his court in Mongolia. Kublai was asking for the dispatch of a hundred missionaries, and some oil from the lamp of the Holy Sepulcher. The new Pope could spare only two friars and some lamp oil. The friars turned back soon after the party left for Mongolia. The two Polos (this time accompanied by the young Marco Polo, who was then 17 years old) returned to the Mongol Empire and remitted the oil from the Pope to Kublai in 1275. The Mongol Ilkhanate leader Abaqa sent a delegation with over a dozen members to the 1274 Council of Lyon, where plans were made for possible military cooperation between the Mongols and the Europeans. After the Council, Abaqa sent another embassy led by the Georgian Vassali brothers to further notify Western leaders of military preparations. Gregory X answered that his legates would accompany the Crusade, and that they would be in charge of coordinating military operations with the Il-Khan. However, these projects for a major new Crusade essentially came to a halt with the death of Gregory X on 10 January 1276. The money which had been saved to finance the expedition was instead distributed in Italy. Sometime during his reign as pope, Gregory X wrote a letter against the charges of "blood libel" and persecution against the Jews. Mindful of the scandals attached to the conclave at Viterbo that had elected him, realizing that tighter controls on the entire process of election were needed, he produced the papal bull "Ubi periculum" which was subsequently ratified by the Council of Lyons on 16 July 1274 and incorporated into the Code of Canon Law. On his arrival at Rome in 1272, his first act was to carry forward the wish of Gregory IX and summon a council. Two days after his coronation Gregory X sent a letter to King Edward I of England, inviting him to a general council to be held on the subject of the Holy Land, beginning on 1 May 1274. Pope Gregory X left Orvieto on 5 June 1273, and arrived in Lyons in the middle of November 1273. Not all of the cardinals followed him. Pope Gregory notes in a letter to King Edward dated 29 November 1273 that Cardinal Riccardo Annibaldi and Cardinal Giovanni Orsini were still in Rome and had been ordered to find a secure place of imprisonment for Guy de Montfort. The two cardinals were hereditary enemies and would be an effective check on each other. Neither was present at the opening of the Council of Lyons. Gregory himself had an immediate meeting with King Philip III of France, whom he had been cultivating vigorously since his accession. The meeting was evidently quite harmonious and successful, since Philip ceded to the Papacy the Comtat Venaissin. The Second Ecumenical Council met at Lyons, beginning on 1 May 1274 for the purpose of considering the East-West Schism, the condition of the Holy Land, and the abuses of the Roman Catholic Church. Reconciliation with the Orthodox Church to end the schism between the East and West. Preparation of a new crusade and donations of a tithe of all churches for it. Establishment of measures to end abuses in the church. 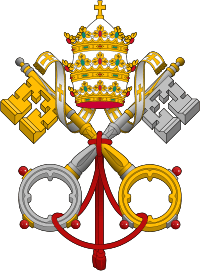 Regulation of papal elections through the constitution "Ubi periculum maius". It should be noted that the Pope's interests were not doctrinal in nature, but disciplinary. In connection with the financing of the Crusade, Pope Gregory imposed on all clerics a six-year long tax of 10% of their income. This was a considerable increase in the tax rate, which, on previous occasions had been for three years, at a rate of 5%. 26 permanent tax districts were established, each having a Collector and a Sub-Collector. that a meeting for the election of a pope should be held at a suitable place, where the Pope and his Curia were residing when the Pope died; if they were at a villa, or a country village, or a town, they should proceed to the nearest city in the diocese (unless it was under an interdict). that, at the conclusion of the Novendiales, and the Mass of the Holy Spirit sung on the tenth day, all the cardinals who are present should be enclosed in the palace where the Pope died; along with two or, if they are ill, three or four servants; none may enter or leave, except on account of illness. There should be no interior walls, but each cardinal's quarters should be separated from the rest by cloth drapes, and they should live in common. that, upon the death of a pope, all magistracies and offices cease and vacate their functions, except for the Major Penitentiary and the Minor Penitentiaries, and the Chamberlain of the Holy Roman Church (Camerlengo). The effigy of Pope Gregory X in Arezzo. Pope Gregory's health had worsened after he left Lyons in April 1275. He was suffering from a hernia, and so he was forced to stop frequently on the way back toward Rome. He departed Vienne shortly after 30 September 1275 and arrived in Lausanne on 6 October 1275. In Lausanne, he met with the Emperor-elect Rudolph, King of the Romans, and on 20 October 1275, received his oath of fealty. On Tuesday, 12 November 1275, he was in Milan. His party reached Reggio Aemilia on 5 December 1275, and they were in Bologna on 11 December 1275. A severe rise in his temperature and the presence of the hernia led him to a halt at Arezzo in time for Christmas of 1275. His condition rapidly declined and led to his death on 10 January 1276 in Arezzo. He is buried inside the Cathedral Church of Arezzo. He was succeeded by the Dominican Peter of Tarantaise in Savoy (Pope Innocent V), a close collaborator of the pontiff throughout his pontificate. Throughout his pontificate, Gregory X only canonized one individual. He confirmed the cultus of Franca Visalta in September 1273. She was a Cistercian nun from Piacenza, authoritarian and given to extreme forms of self-mortification. Having been eased out of a Benedictine convent, where she had been placed at the age of seven, she built her own convent, over which she ruled as Abbess. He commenced the cause of canonization of King Louis IX of France in 1272, an act which bestowed on the king who had died in August 1270 the title of Servant of God. He beatified Luchesius Modestini in 1274 with the confirmation of his cultus. Pope Clement XI beatified Teobaldo Visconti in 1713, and he was made a patron of the Diocese of Arezzo and of Franciscan tertiaries. His cause of canonization resumed in 1944 under Pope Pius XII and remains open, with the requirement of a miracle attributed to his intercession needed for his canonization. Teobaldo Visconti is a central character in the 1982 American-Italian miniseries Marco Polo, where he was portrayed by American actor Burt Lancaster. He is also depicted by Irish actor Gabriel Byrne in the Netflix series Marco Polo. Wikimedia Commons has media related to Gregorius X.
Anton Maria Bonucci, Istoria del Pontefice Ottimo Massimo il B. Gregorio X (Roma 1711). H. D. Sedgwick, Italy in the Thirteenth Century Volume II (Boston–New York 1912) 71–80. Ludovico Gatto, Il pontificato di Gregorio X (1271–1276) (Roma: Istituto Storico Italiano per il Medioevo 1959) (Studi Storici, 28–30). J. Guiraud and L. Cadier (editors), Les registres de Grégoire X et de Jean XXI (1271–1277) (Paris, 1892–98) [Bibliothèque de l'Ecole Française à Rome 2 série, 12]. ↑ Pope Pius VI, in 1798, in consideration of the occupation of Rome by the French, dispensed the Cardinals from many of the conclave regulations, including those of Gregory X: (Pietro Baldassari, Relazione delle aversita e patimenti del glorioso Papa Pio VI negli ultimi tre anni del suo pontificato (Roma: Tipografia poliglotta del S.C. di Propaganda Fide, 1889) II, pp. 297-302). 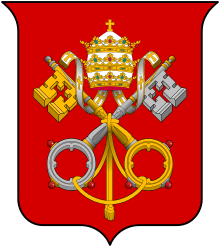 Pope Pius IX, in 1878, in fear that the Italians might invade the Vatican on his death and try to prevent or dominate a conclave, gave Cardinals great latitude in the regulating of the next conclave: Agostino Ceccaroni, Il conclavo (Torino-Roma 1901), pp. 85-129. The rule on bread and water was relaxed, and then ignored at nearly every conclave. ↑ Campi. p. 167. The date of appointment as Canon is unknown, as is the patron. It may have been family influence, the influence of his uncle the Archbishop of Milan, or that of Cardinal Giacomo de Pecorari. In September 1239, he is signatory to a contract drawn up by the Canons of the Basilica. ↑ Adams, Dr. J. P. "The Sede Vacante and Conclave of 10 November 1241-24 June 1243". ↑ Émile Schoolmeesters, "Tableau des archdiacres de Liége pendant le XIIIe siècle," Leodium II (Liège 1903), p. 5. Berger, Les registres d' Innocent IV Volume I (Paris 1884), p. 334 no. 2260, shows that Pope Innocent IV approved the grant on 19 September 1246 by allowing Teobaldo to hold multiple benefices. Cf. Baldwin, p. 24 and n. 50. He held the archdeaconry until 8 March 1271. ↑ Gallia christiana III (Paris 1725), 888-889. ↑ Gallia christiana III (Paris 1725), 939-952, at 948-949. He finally resigned all his offices in 1274 in the presence of Gregory X at the Council of Lyons. ↑ Gallia christiana III (Paris 1725), 888-889. Alphonsus Ciaconius, Vitae et Res Gestae Pontificum Romanorum et S.R.E. Cardinalium (ab Augusto Olduino recognitae) Tomus II (Roma 1677), 185—where it is alleged that Henry actually struck Teobaldo. Baldwin, Pope Gregory X and the Crusades, p. 31. The "Vita Gregorii X Papae" severely telescopes events at this point by some five years. It seeks to have Teobaldo take the Cross along with Louis IX and his sons, but that event did not happen until 24 March 1267. If that collocation is accepted, then the length of Teobaldo's assignment in England is seriously reduced and its purpose compromised. ↑ A. Tomassetti, Bullarium Romanum III (Turin 1858), pp. 748-763. F. Gregorovius, History of Rome in the Middle Ages, Volume V.2 second edition, revised (London: George Bell, 1906), pp. 381-382. ↑ F. Gregorovius, pp. 457-460. H. D. Sedgwick, Italy in the Thirteenth Century Volume II (Boston-New York 1912) 71-80. F. Cristofori, Il conclave del MCCLXX in Viterbo (Roma-Siena-Viterbo 1888) pp. 9-42; 337-348. ↑ Thomas Rymer Foedera, Conventiones, Literae et cuiusque generis Acta Publica inter Reges Angliae et alios... editio tertia, Tomus I. pars 2 (The Hague 1745), pp. 121-122. Other copies went out to other Kings, Princes and rulers of Europe. ↑ Potthast, no. 20761 (21 November 1273). ↑ These are summarized from the Constitution 'ubi primus', by Franciscus Pagi, Breviarium historico-chronologico-criticum illustriora pontificum Romanorum, Conciliorum Generaliorum acta... III (Antwerp 1718), pp. 406-408. ↑ "Vatican newspaper examines history of red, white papal garb". catholicculture.org. Retrieved 2 April 2015. ↑ "L'Osservatore Romano". osservatoreromano.va. Retrieved 2 April 2015.